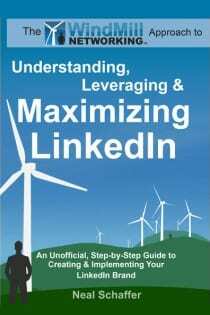 Social media strategist Neal Schaffer’s Windmill Networking: Understanding, Leveraging & Maximizing LinkedIn is the most comprehensive LinkedIn guide book on maximizing the potential for professional and personal networking through LinkedIn. It goes beyond the “business” genre to expand upon the world of social media marketing, branding, and today’s critical focus on career management. It clarifies the functionality of LinkedIn and how to “plug into the Windmill Network” to maximize our presence and leverage the potential to grow our networks to thousands of global connections. 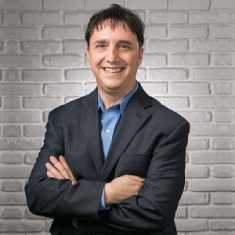 Schaffer offers a unique view of all phases of social media and networking, providing a direct route to developing objectives and creating brands. This book’s focus on Windmill Networking and LinkedIn is vast: creating business, gaining subject matter expertise, finding a job, expanding a network, learning online social networking etiquette, and developing a branded profile. This book generates strategies, goals, and success. The book starts by reviewing your objectives for using LinkedIn as well as how your brand will be perceived online. What follows is a function-by-function review of how to maximize all that LinkedIn has to offer for those that truly wish to utilize the professional networking platform to promote their business, network with their peers, find a job, or simply tap themselves into the premiere network for business professionals. While appropriate for both beginners to LinkedIn as well as those who want to get to the next level of expertise, one thing is for certain: After reading this book, you will have no doubt as to what you can be doing on LinkedIn to help you reach your goals and achieve success.